Leveraging to our team of skilled professionals and ultra-modern technology, we are offering Caustic Soda Flakes. Our finest grade Caustic Soda Flakes are free from foreign matter, dirt or other visible impurities. They are used in the textile, soaps and detergents, pulp and paper industries and in alumina refineries. We hygienically pack Caustic Soda Flakes in premium grade packaging material to keep its physical and chemical properties for long. 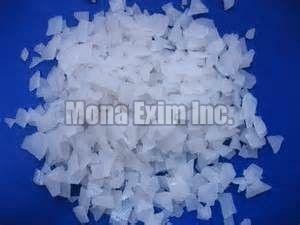 Caustic Soda Flakes are made available at the most affordable prices. Packing : In 50 kgs / 25 kgs New HDPE Bag with Liner.